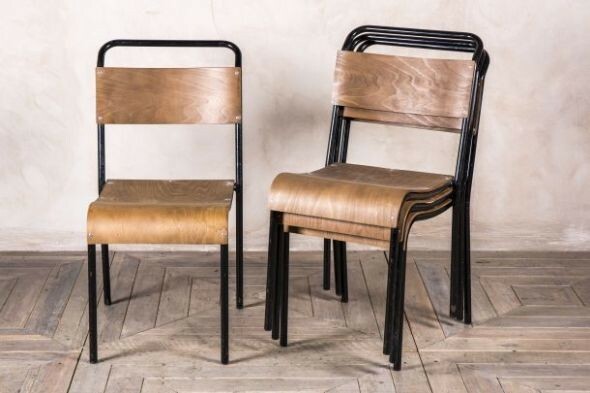 Part of our extensive collection of domestic, bar and restaurant seating, these stacking chairs are a stylish and practical choice for a range of interiors. 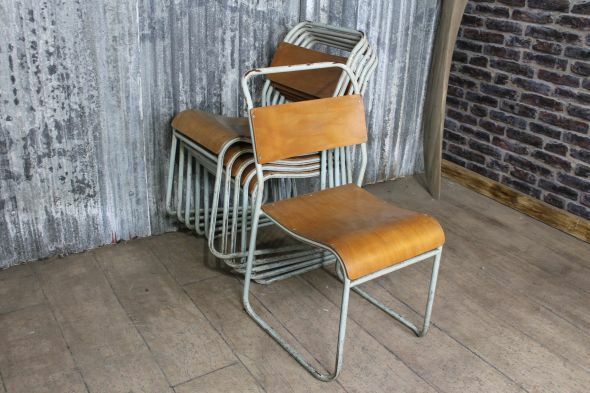 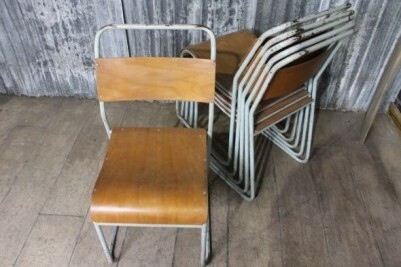 The chairs have a plywood back and seat, and the metal frame has a distressed paintwork. Ideal for use in bars, restaurants, cafes or kitchens, these chairs conveniently stack together, meaning they can be easily stored when not in use. 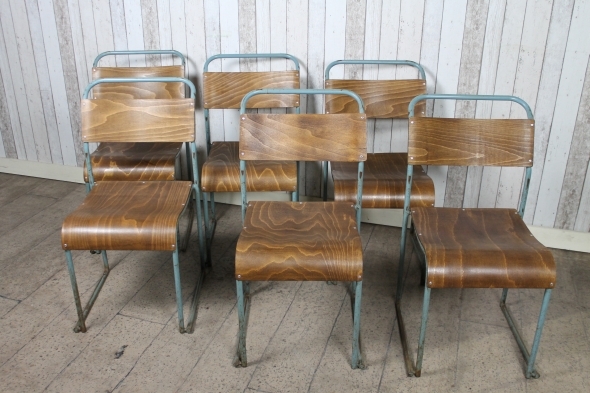 The chairs are all in good condition; however, they are vintage items and will show some signs of wear and tear from being in daily use over many years. 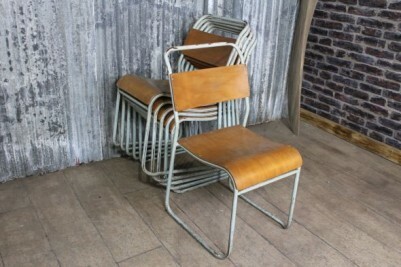 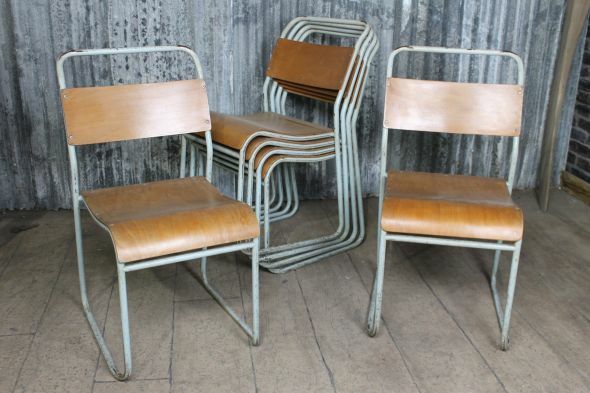 We have 100s of stacking chairs in stock in a wide range of colours and styles. Browse our website to see the full collection. 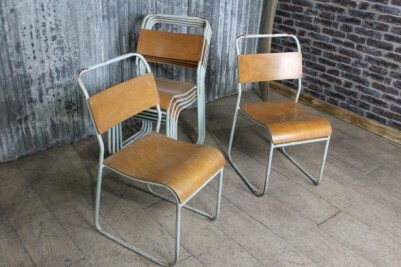 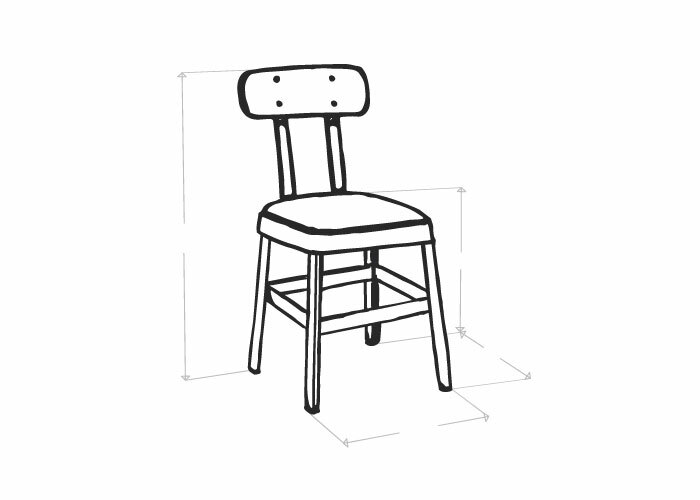 The price stated is for one chair, but we do have more in stock.